Primary Focus: The incubator kitchens are a platform for up and coming food makers to take their creations to the next level. Our goal is to make the food maker successful. This is a Bay-area nonprofit “kitchen incubator” that aids immigrant women start food-related businesses. Primary focus: The Hood Kitchen Space is a commercial kitchen facility focused on providing clean, health department certified space for chefs, restaurants, bakers, food artisans, consultants and culinary teachers to flourish, at any stage in their business. Available hourly, weekly or monthly, they provide a low risk alternative for food preparation and R&D. At THKS, they seek people and businesses with great products, efficient processes, and flexible mindset. Primary focus: Scheduled to open in December 2018. The Hatchery Chicago will support local food and beverage entrepreneurs by providing them with tools and resources to reach success. -headquarters for Accion Chicago, which will be an anchor tenant at the facility and provide access to loan capital to tenants and members. Enhanced space for the Garfield Park Neighborhood Market. Membership is required. The Hatchery Chicago offers 2 types of memberships: Entrepreneur Member and Network Member. Please visit our Membership page for more details. Primary focus: This incubator offers two types of memberships — a full-time membership with 24/7 access and a nights and weekend membership with access from 7 p.m. – 7 a.m. on weeknights and 24 hours on Saturday and Sunday. The full-time membership will cost around $1,200 a month and the nights and weekend membership will be priced around $950. The kitchen space is laid out with 26 prep tables, mixers, ovens, stoves and a walk-in refrigerator and freezer. The number of members the space can hold depends on the members as a catering company may have more employees than a one-person operation. Primary focus: Commercial juicing, counselling, HACCP planning, trial runs. Primary focus: CommonWealth Kitchen is a collaborative community working to strengthen the local economy, particularly for people who have been impacted by racial, social, and economic inequality. They offer shared kitchens with integrated business assistance, creating and growing dynamic food-based businesses and careers. Product: Hot and cold pack glass and plastic bottling, focusing on fruit preserves, BBQ sauces and salsa, dressings and juice concentrates. Certified Organic. Products: Dry, Gluten free baking mixes and gluten free dairy. The web site www.commercialkitchenforrent.com offers searches for commercial kitchen space to rent listed by state. Also consider churches (not all have commercial kitchen licenses) in your area and restaurants that are open for breakfast and lunch that could offer thier kitchen space in the late afternoons and evenings. Product: Strictly vegetarian food processing. Products: Bakery, wet kitchen, bottling room, small production kitchen, Kosher. Products: There are three separate facilities in Brooklyn and a facility in New Jersey totaling 250,000 sq ft of state-of-the-art production lines. Garden State Kitchen is a fully licensed commercial kitchen space that provides an ecosystem of support services for culinary entrepreneurs. Their services can be used as a platform for your food-based business. Kitchen space is rented by the hour with membership packages offering lower hourly rates. Please contact for pricing. All kitchens feature top-quality commercial equipment and appliances.Each kitchen is exclusively yours for the time you have reserved; Shared facilities including refrigeration , a secure dry ingredients storage room and a dish room are available for use by all chefs. You can schedule use of our on-site conference room as part of your rental agreement; A common area for client consultations, emailing, phone calls and (if you’ve had a long night) a quick nap; All you need to bring is all your ingredients or any special equipment or smallwares you use. We provide the rest. Products: Frozen: Gravy, seafood, soups and sauces. 2000 lbs. minimum run. Products: Hope & Main’s non-profit incubator program gives food businesses the opportunity to grow in their first two to three years without the cost of equipping their own commercial facilities. They offer shared-use, fully-equipped code-compliant kitchens and storage at below-market rental rates. Fees cover a number of overhead costs like utilities, cleaning, parking, trash collection and pest control. That way, members avoid taking on the significant debt typically associated with the establishment of independent culinary startups and can focus on what really matters: building vibrant and sustainable food companies. To help make that happen, Hope & Main offers a full slate of business supports, including facilities for shipping, receiving, labeling and packaging, workspace for e-commerce and backroom operations, and cooperative purchasing to cut costs and help our companies to compete effectively as they scale up. Products: Glass wet or dry. Minimum quantity: 38 gallons. Primary focus: CulinaryIncubator.com is a site for the sole purpose of helping entrepreneurs find a place to produce their food product by state. This site was developed and designed by culinary and website experts, who found a need for an easy to use, straight and to-the-point website. Unlike other websites which have listings for commercial kitchens, we do not charge to list the kitchens. Their goal is for you to find a kitchen quickly and easily, and for kitchen owners to get tenants to keep them operating. This website is dedicated to small food businesses who are trying to find a commercial kitchen to cook their product. 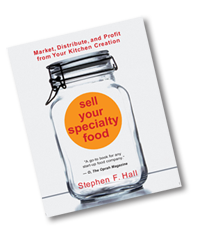 Culinary Incubators drive new start-up businesses, for whom, without a health department licensed commercial kitchen, could not legally produce their food. In addition to producing food, commercial kitchens can be used to shoot TV shows, teach cooking classes, host food tastings, and other events.